Tag Archive | "national award"
Pictured L to R: American Legion Unit #287 Education Chairman Mary Anne Yuncker, David Vernon, Jasmine Fankhauser, Rachel Vernon, and Deborah Chambers, 2017-2018 Unit President. Not pictured is Unit Poppy Chairman last year LoraLee Nauta. Congratulations to Jasmine Fankhauser for winning a National award for the best poppy poster in the Poppy Poster contest sponsored by the American Legion Auxiliary. Ms. Vickie Burke was the art teacher who encouraged her class to enter the contest. Jasmine followed the guidelines and won at the local, district and state levels before winning the National award. Her poster was featured at the American Legion Auxiliary National Convention in Minneapolis, Minn. in August. 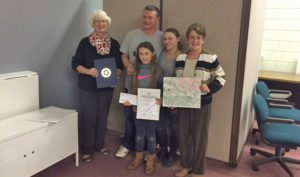 She was presented her certificates and a $50.00 prize for her outstanding talent at a ceremony on November 8. “We hope to have even more entries next year,” said Mary Anne Yunker, Education Chairman for American Legion Unit #287. 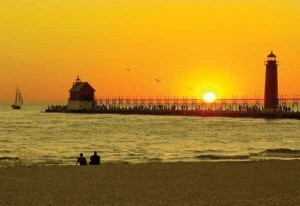 Lake Michigan’s Grand Haven State Park on Lake Michigan. The Department of Natural Resources announced Wednesday that Michigan state parks and recreation areas have won the 2011 National Recreation and Park Association (NRPA) Gold Medal for the top state park system in the nation. The DNR was notified today by the American Academy for Park and Recreation Administration and NRPA. Michigan was named one of four finalists in May, and beat North Carolina, Florida and Missouri for the top honor. The Gold Medal Award honors communities throughout the United States that demonstrate excellence in long-range planning, resource management, and agency recognition. Each agency is judged on its ability to address the needs of those it serves through the collective energies of citizens, staff, and elected officials. In its winning application, the DNR focused on innovation, such as the Recreation Passport, which is the new funding model for state parks and outdoor recreation in Michigan. The $10 optional fee that Michigan residents can pay when renewing their vehicle registration at the Secretary of State gives them annual access to all Michigan state parks and boating access sites and also supports state forest recreation programs. A portion of the funding also supports a grant program for local parks. “This achievement is indicative of the tremendous staff who works in the Parks and Recreation Division, who strive for excellent customer service every day to provide a positive experience for our customers,” said DNR Parks and Recreation Chief Ron Olson. Michigan is home to 99 state parks and recreation areas, offering visitors more than 13,000 campsites, trails, access to inland lakes, rivers and the Great Lakes. For more information on state parks in Michigan, go to www.michigan.gov/stateparks.